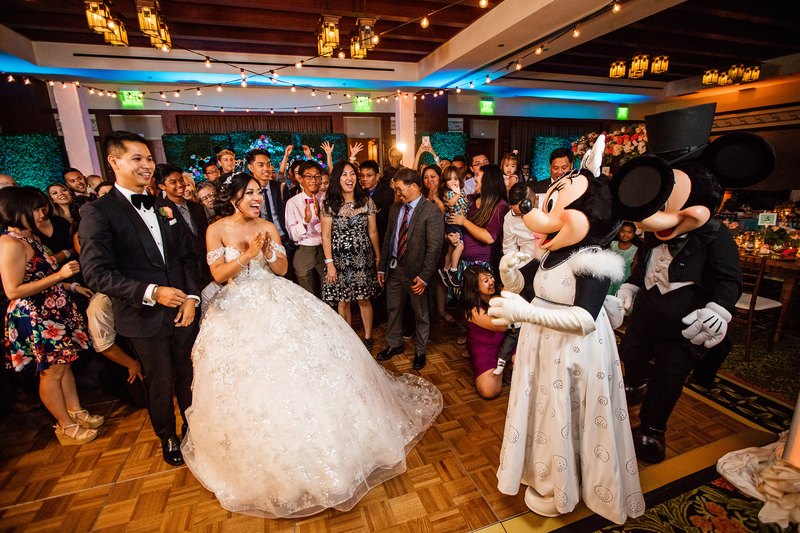 To have a Disney wedding is a dream and a wish many hearts make. 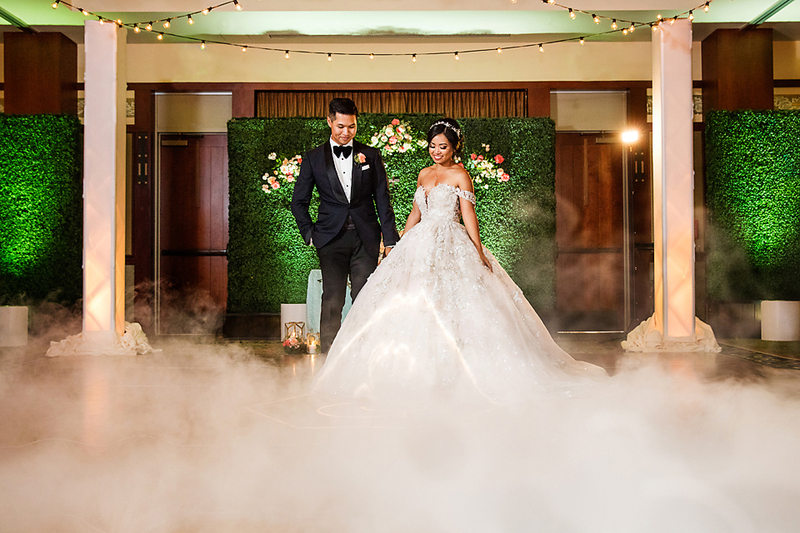 Actually pulling it off seamlessly is a task handled by real-life fairy godmothers—or, in this case, Disney’s Fairy Tale Weddings team. 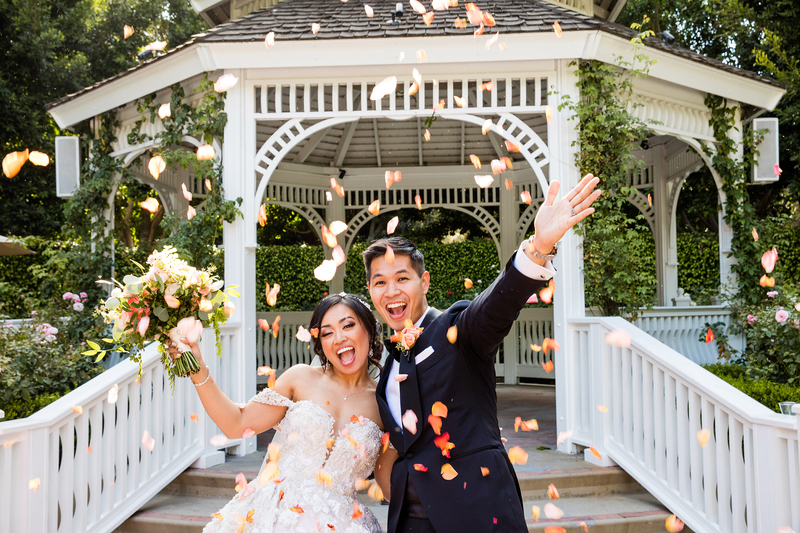 In an exclusive, new interview with The Knot, a wedding consultant and event planner from the team explain exactly how they recently pulled off a wedding at Disneyland that has since gone completely viral. 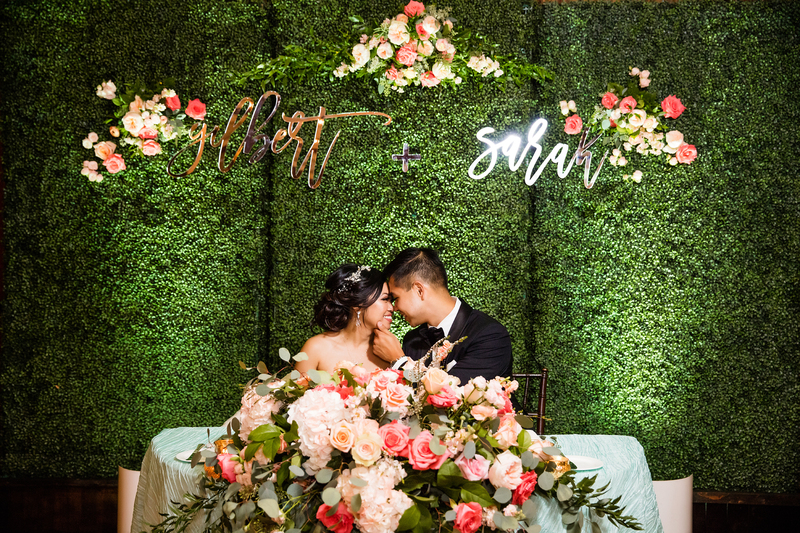 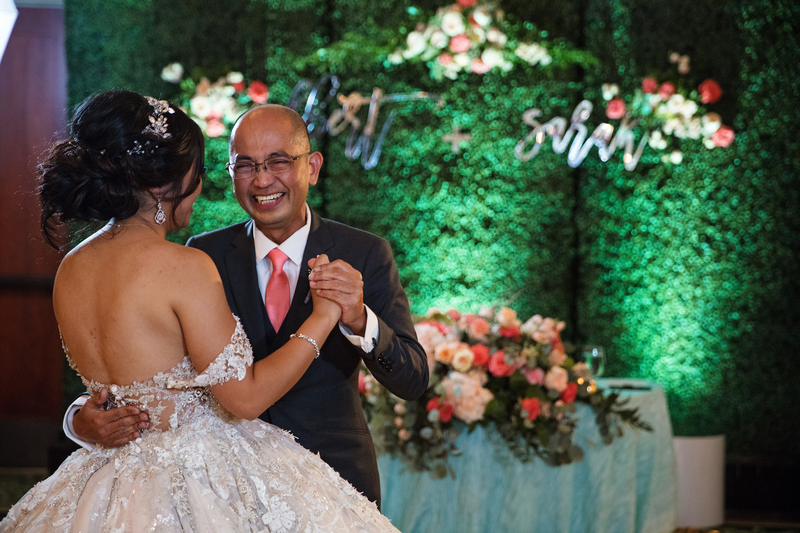 The couple, Sarah Kabiling and Gilbert Hernandez, married in their dream venue on September 8. 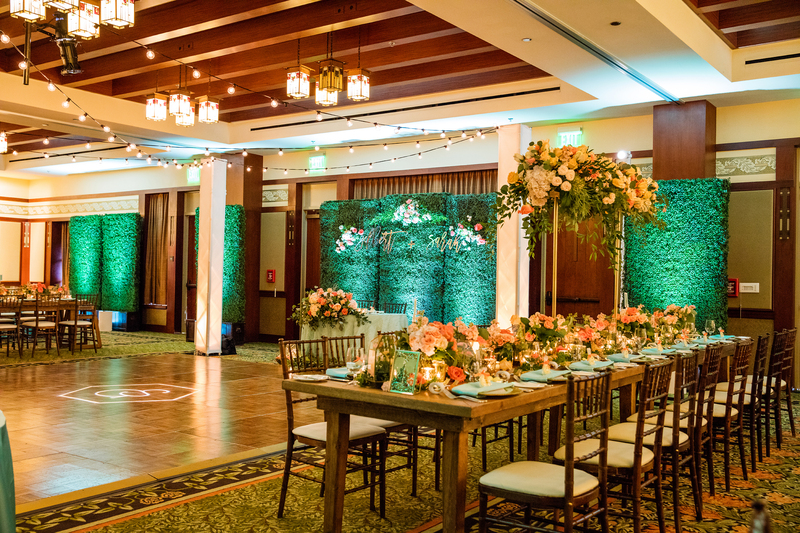 The extravaganza itself was held at the Rose Court Garden and the Trillium inside the theme park. 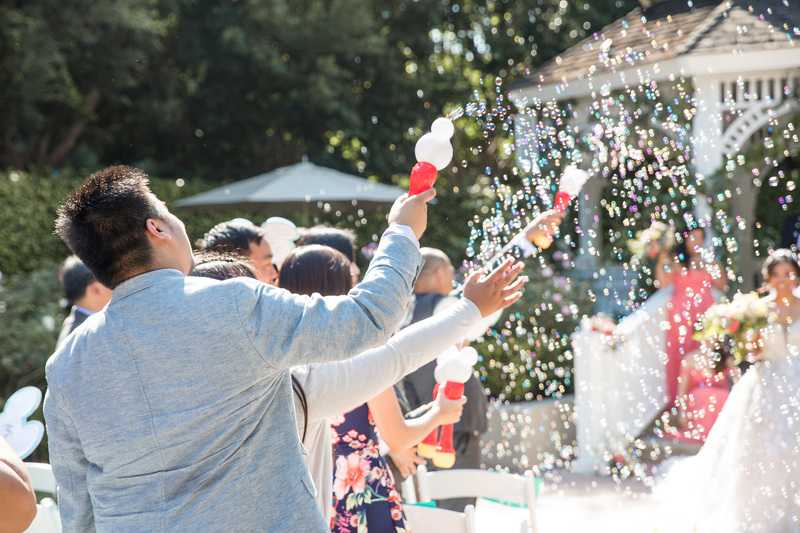 The process typically kicks off with couples being assigned a dedicated sales consultant, who then matches the pair to a wedding planner. 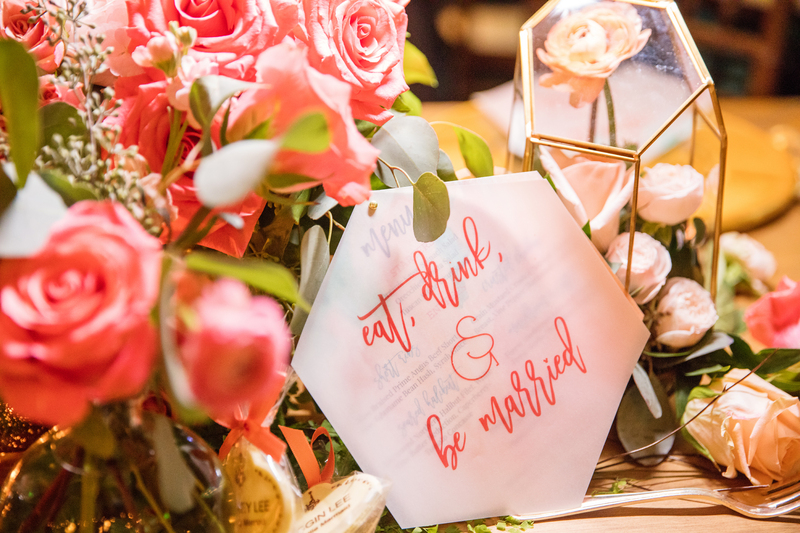 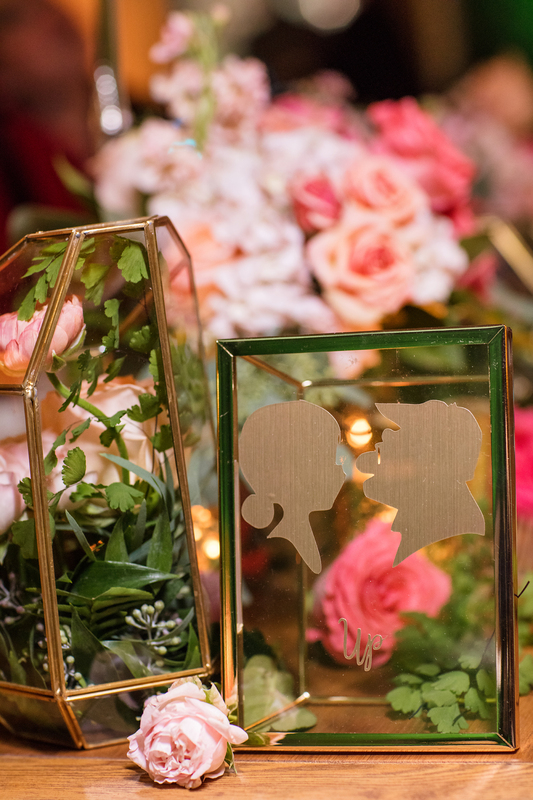 In this case, the bride and groom first connected with Sue Romano, a consultant with Fairy Tale Weddings, who then introduced them to their wedding planner, Keli Byrne. 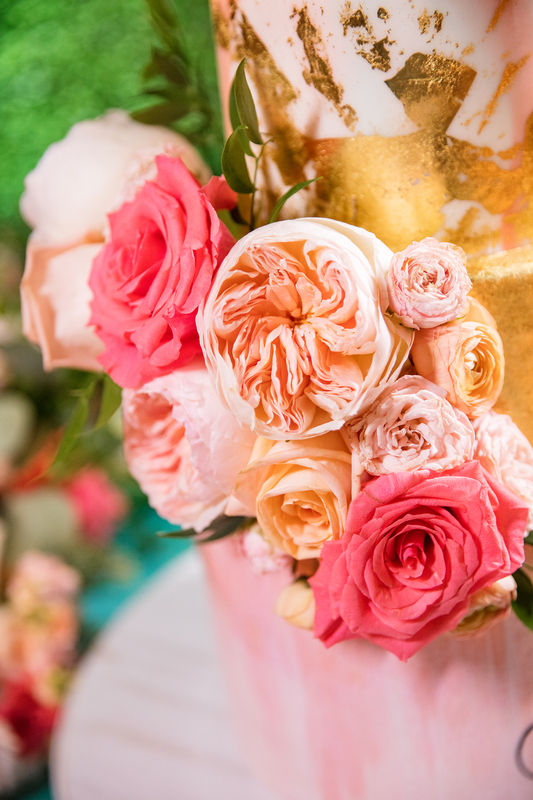 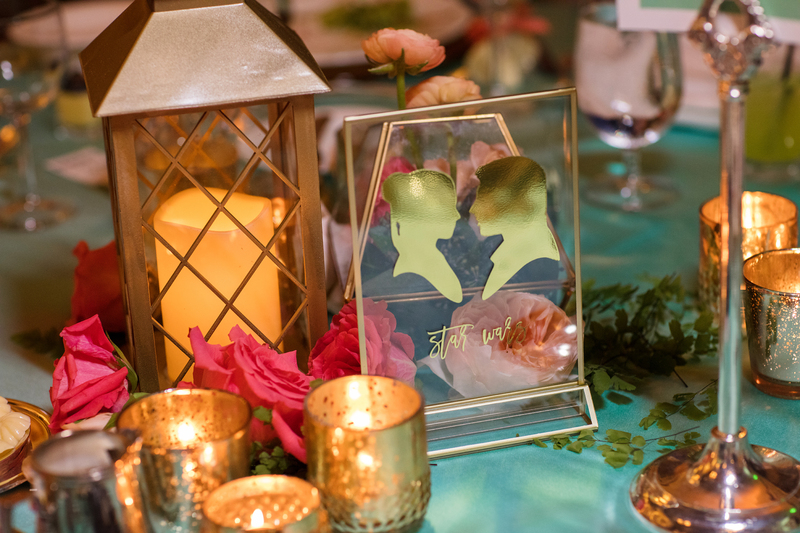 Photographer Jenna Henderson of White Rabbit Photo Boutique captured the magical affair. 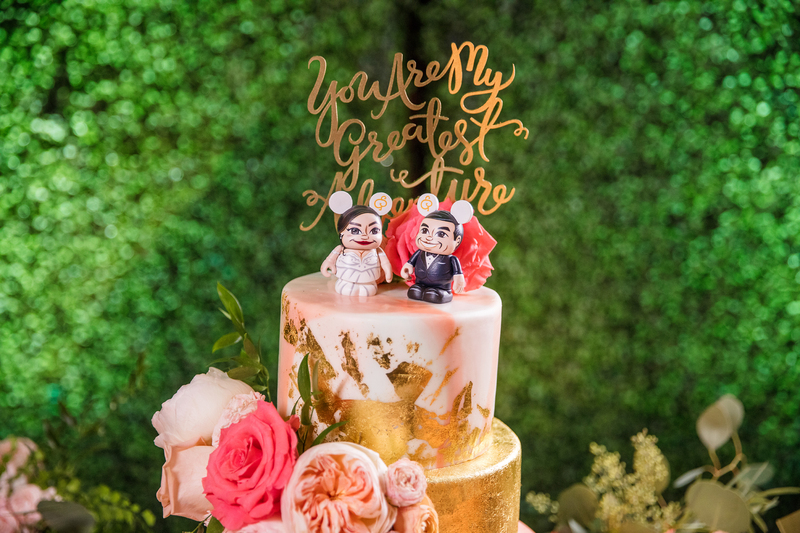 It worked out between the pair. 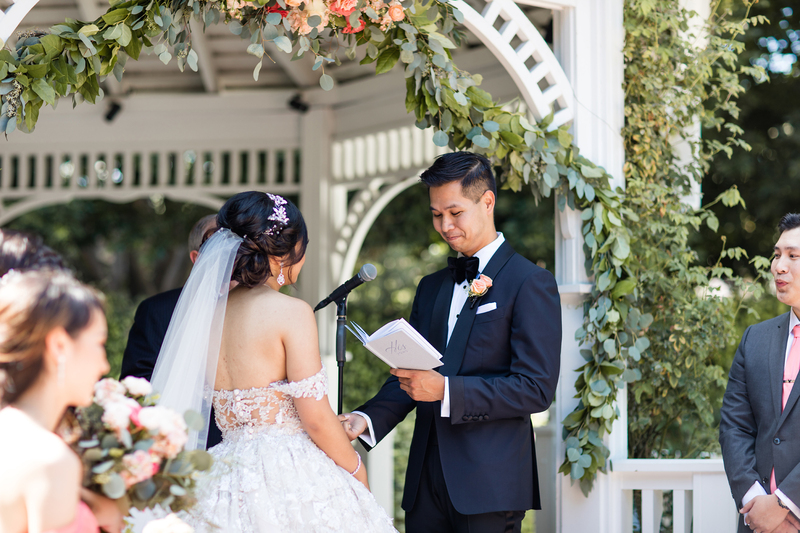 Hernandez proposed at UC Berkeley at the spot where he first envisioned a potential future with Kabiling. 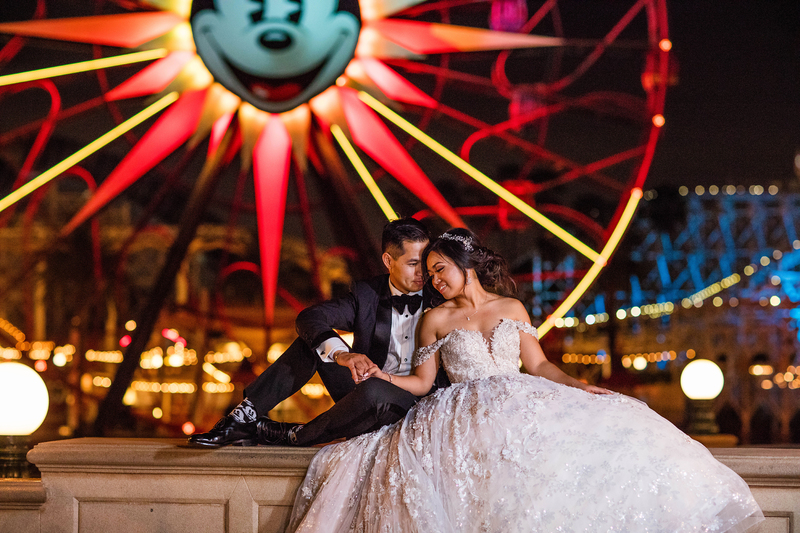 “We chose to have an engagement session at Disneyland since it’s such a huge part of our lives,” she adds. 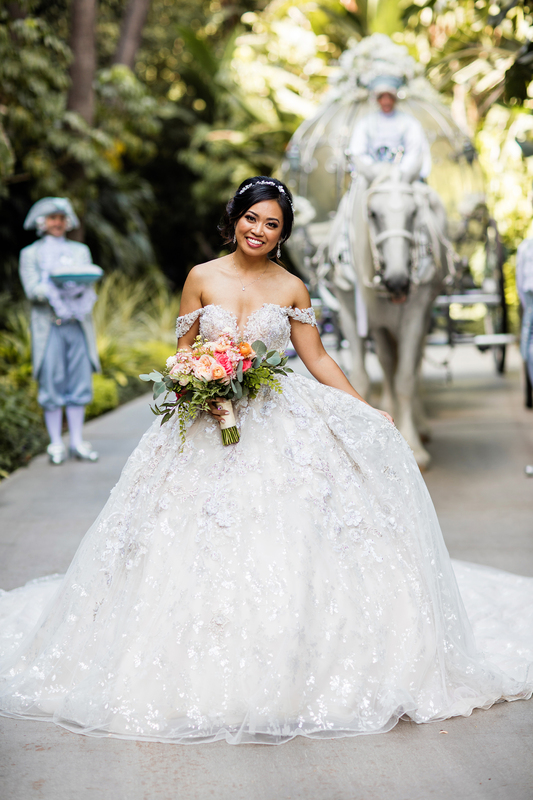 Some of the elements included a pumpkin carriage, inspired by Cinderella of course! 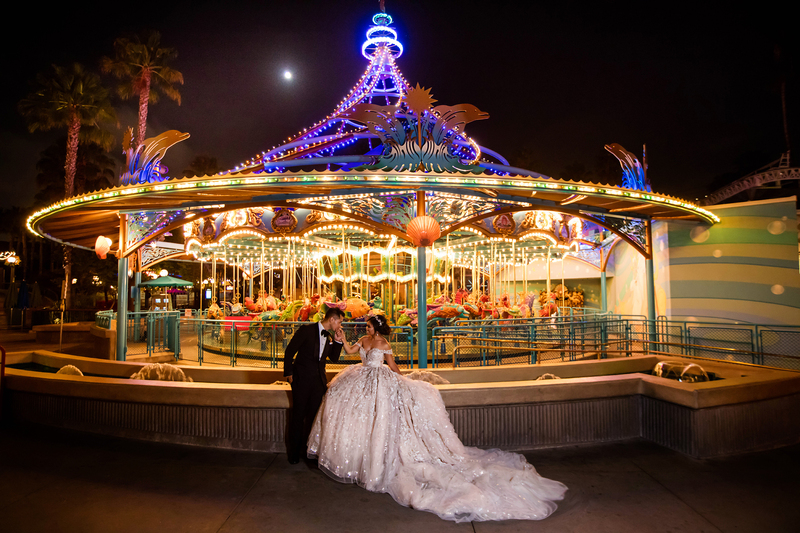 “Initially, Sarah and Gilbert threw the idea around of incorporating Main Street Electrical Parade since it was an element from the parks that they loved,” Byrne adds. 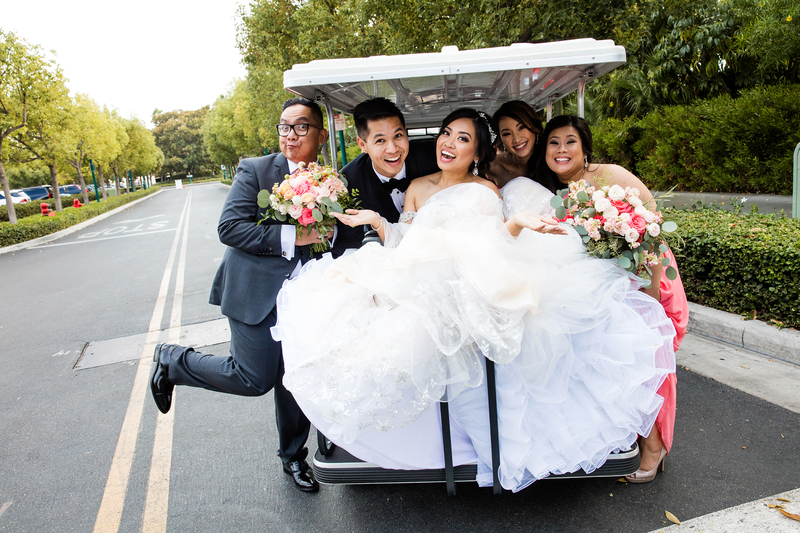 “We did some brainstorming and came up with the idea of using one of our Main Street vehicles [the fire truck] and giving their guests colorful, fiber optic wands to wave as they drove by. 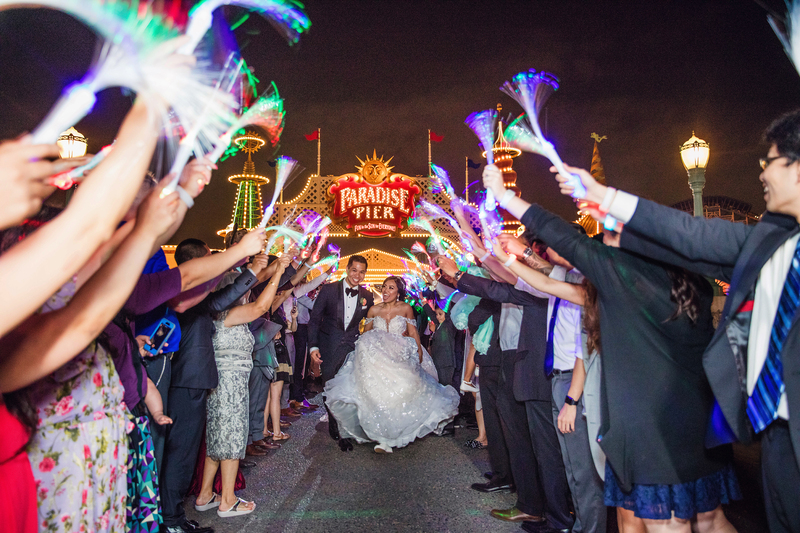 It was like their own Main Street Electrical parade.” The planner says this was personally one of her favorite elements from the wedding. 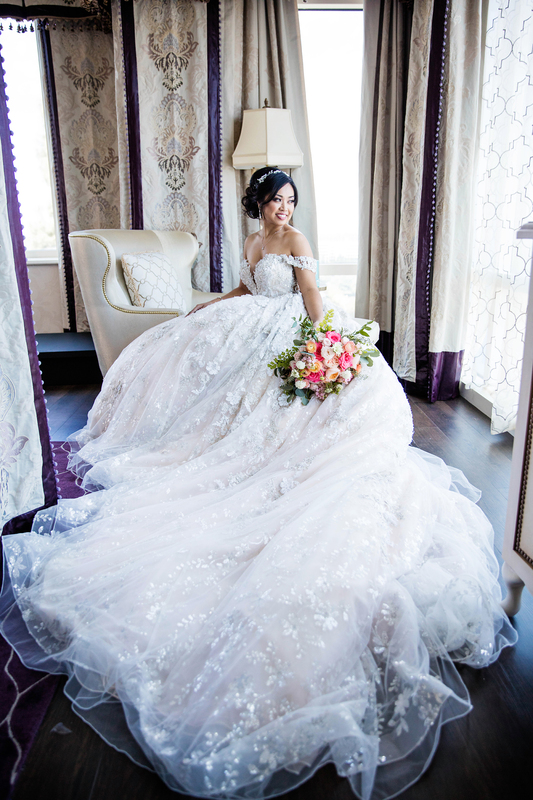 The bride says sourcing and finding the perfect princess gown was no small feat. 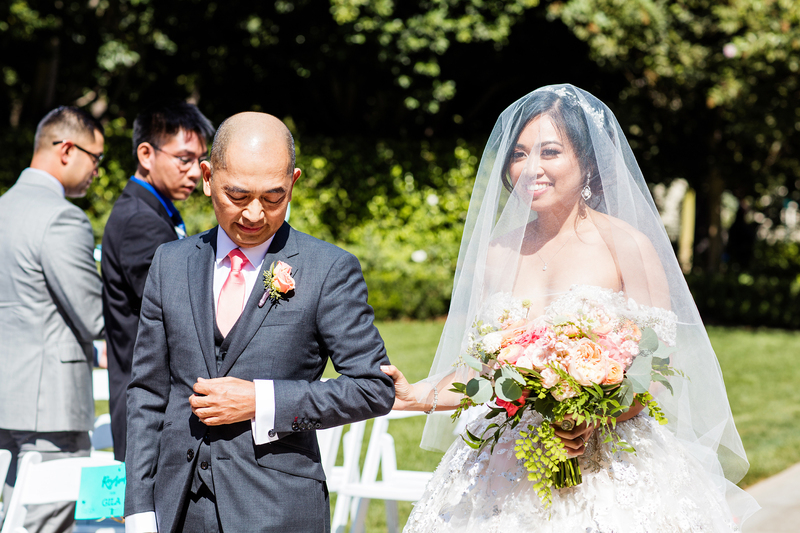 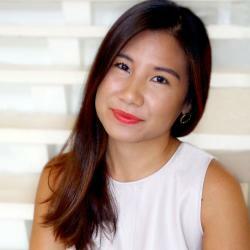 “After more than a hundred dresses, I couldn’t find ‘the one,’” she says. 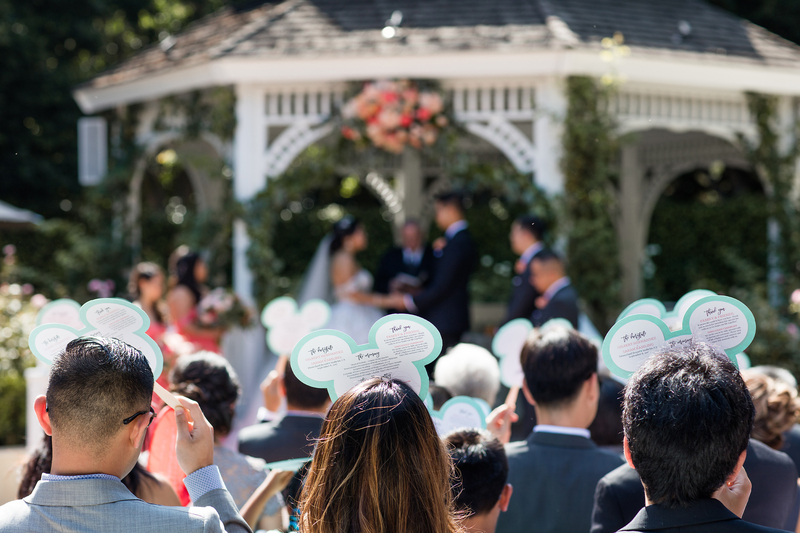 “So I found something closest to it, and had it custom made by the designer Leigh Price from YSA Makino.” The groom showed his Disney pride with Mickey Mouse ear cufflinks. 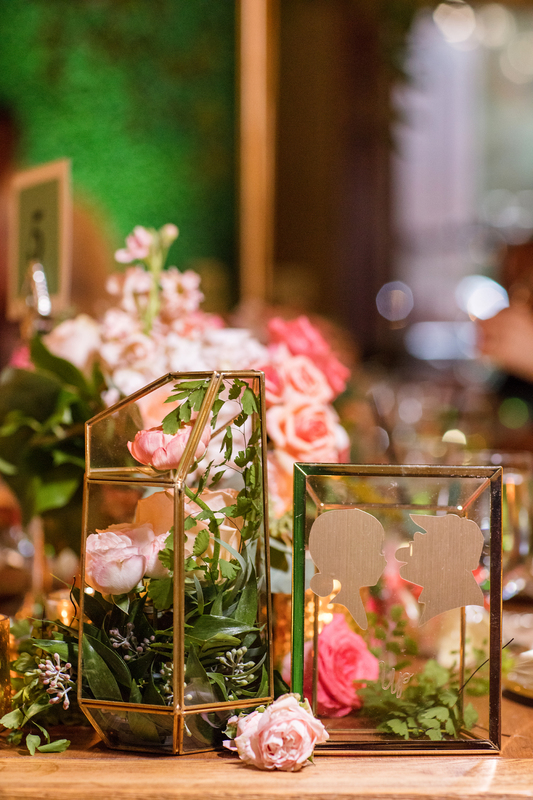 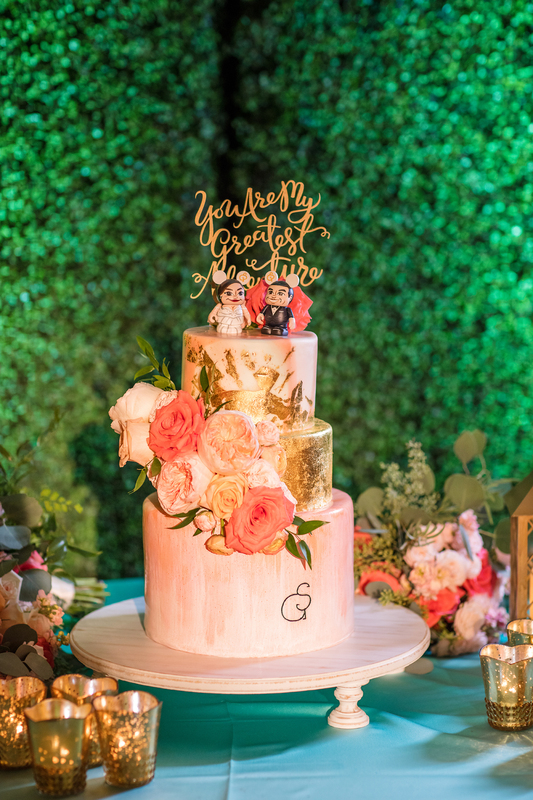 Other theme park-approved elements included Disney wand bubbles, an Up-inspired mailbox, a live band that played classic Disney songs, and even, a guest appearance from Mickey and Minnie at the reception. 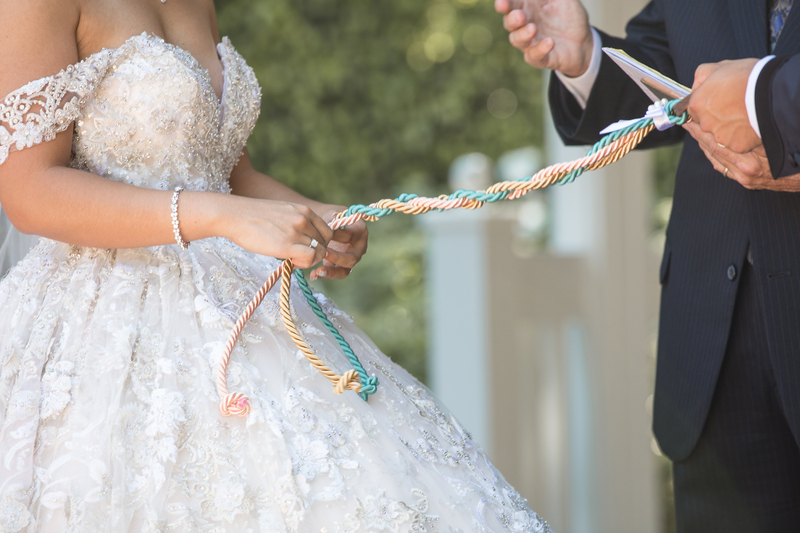 Be the first to comment on "You’ve Wished Upon a Star Your Entire Life for This Disney Wedding: Get the Details From the Planner"